Tara Shaw is an elegant and fearless designer. Her design principles stem from her firm belief that the interior design should be a reflection of the soul. Simple beauty can create an atmosphere of creativity which can shape the direction of our lives. Surrounding yourself with pieces you love and which hold artistic and historical meaning can be uniquely powerful. In her early life this New Orleans-based designer found her love for antiques through her maternal grandmother. Their special relationship forged a Tara’s discernible eye for fine European furnishings . Known for her luxury European antiques and impressive interior stylings, Tara has experienced 20 years of success as an antique wholesaler. Her design philosophy has inspired countless exquisite interiors for members of the trade and fans alike. Her distinctive vision paired with her entrepreneurial spirit, challenged her to create her own line of antique reproduction and custom furniture, Maison, in 2007. Spending many years in Asia producing her line, Tara chose to return to the city she admires so much and continue her line of modern bespoke design using local artisans. New Orleans has always offer Tara inspiration. Influenced by the city’s historic architecture and European like sensibility, it has set the backdrop for her now famous portfolio. Shaw’s signature style of anchoring a room with timeless Old World pieces mixed with her reproduction line, contemporary art and luxurious finishes opened the door for her to take on multiple celebrity design projects. Shaw has been featured on design television programs with HGTV and frequents the covers of international shelter magazines. Licensing with Restoration Hardware in 2013, Shaw maintains a prosperous career in product design and interior decorating. She continues to reside in Uptown New Orleans with her loving husband Robert Walsh and darling whippet child Brother Lucca. Regina Correa is the lead designer at Studio Riche Designs. Born and raised in São Paulo, Brazil, she came to New Orleans on vacation on what was supposed to be a 2-month-vacation, which then became her permanent home. For more than 15 years Regina has pursued her passion for Interior Design and Art. The core of her professional training includes an Associate's degree in Interior Design and a Bachelor's degree in Art History. As a designer who speaks Portuguese, English and Spanish, she exhibits an international flair in her work while remaining committed to the core values of design. Regina has developed a keen eye that allows her to create fearlessly. In her opinion, good design should not be part of a category or type but stand solely on its own merit. 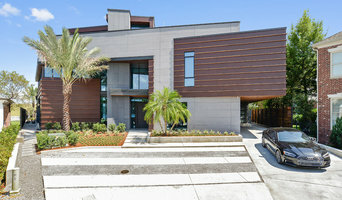 At Studio Riche Designs we believe anyone can have a beautiful, comfortable, and functional place to call home. Here at Studio Riche Designs we strive to create interiors reflecting the personality, taste and style of every client, while keeping in mind the functionality, comfort as well as beauty of the space. All within their budget! Let us hear from you! Give us a call or click the "Contact Me" button to send us a message. We are ready whenever you are! Are you ready to express yourself with a new luxury New Orleans interior by Susan Currie Design? If you’re ready to take the plunge, we’re ready to work with you and we look forward to hearing from you and creating an amazing space, perfectly suited to your family and lifestyle! Big pictures are made of little details, and that’s what Susan Currie is all about. She brings her unique, detail-oriented expertise to your design project and creates truly fabulous New Orleans interiors. But, don’t let this attention to detail fool you, Susan also brings a lot of fun and funk to her projects to ensure each one is unique to her clients, their lifestyle and personality. Color is a passion of Susan’s and working brilliant hues into a space is a fun challenge for her. Introducing pops of color through artwork and accessories can absolutely make a space and are Susan’s trademark to creating luxury New Orleans interiors. Lucky for her clients, Susan has the ability to blend her personality and design style with a polished professionalism that will make working with her not only an easy decision at the start of a project, but one you’ll thank yourself for over and over through the project’s completion. 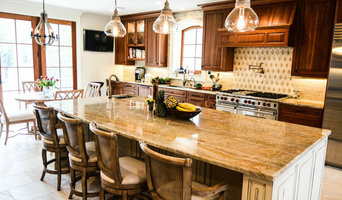 She is an Allied Member of the American Society of Interior Designers (ASID) and one of only 25 Certified Aging in Place Specialists (CAPS) in the greater New Orleans area. After graduating with a bachelor’s degree from Eastern New Mexico University, Susan choose to follow her desires and do what she always wanted to become a designer. At that point, she worked to earn her associates degree in Interior Design from Delgado Community College. Susan has lived and worked in the Southeast and Southwest. During her time in Atlanta, she served as Director for the Georgia Chapter of the ASID and currently enjoys residing in The Big Easy, where the people, architecture and food are almost equally inspirational to designing New Orleans’ interiors!It’s through her travels, places she’s lived, artwork and gardening that Susan draws inspiration. Interiors shop and design studio and new construction/ renovation specialist. 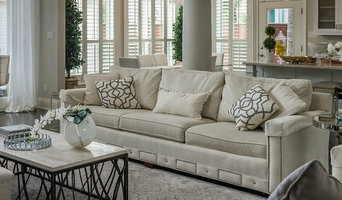 Peyton Bainbridge Interiors is an interior design company in new orleans, louisiana specializing in traditional, contemporary, modern, and eclectic design. Full Service Interior Decorating service with amazing furniture finds from the very best furniture markets. By helping clients to make wise choices families can reduce their stress during any design process and enjoy all the incredible results! Let a design professional help you enjoy your home more than you ever thought possible. 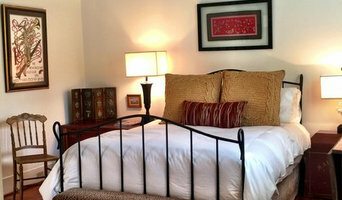 NB Interiors offers interior design services to south west Mississippi and the New Orleans area. Nancy Bounds, owner of NB Interiors, is a Registered Interior Designer with extensive experience in commercial and residential design. For over 20 years, Nancy Bounds has created high quality designs and documents using the industry's leading technology. "When Ordinary Won't Do." Transitional style with upscale, fresh and fabulously chic designs. The award-winning design team at The French Mix By Jennifer Dicerbo Interiors works within your budget to create a beautiful home that expresses your sense of style. We attend market six times a year, working with thousands of product lines from all over the world. We are continually searching for interesting pieces to stimulate your imagination and exceed your expectations. Our goal is to design the home of your dreams by collaborating with you, listening to your needs, and understanding your lifestyle while creating an ambiance that feels naturally evolved, never contrived. Logan Killen Interiors is a New Orleans based interior design company specializing in residential and boutique commercial projects. Designing approachable and livable spaces that focus on each of our client's unique personalities and lifestyles is our practice. Above all, we believe in creating environments that make our everyday lives beautiful and easy.